The current climate of uncertainty and insecurity that is experienced by 3.6million EU citizens resident in the UK, whose fundamental rights of residence have been thrown into doubt for the past year, has raised serious concerns about their mental health and well being. The resulting distress is regularly evident, for example, on online advocacy forums such as those run by the New Europeans. While striving to offer as much information and support as possible, these agencies are not equipped, resourced or qualified to provide the much-needed professional emotional support to these people. To address this urgent need, The Existential Academy in collaboration with the New Europeans Association Limited, are launching a new emotional support service for EU citizens resident in the UK and whose mental health has been adversely impacted by the uncertainty and emotional upheaval caused. This service will be provided by accredited psychotherapists and counselling psychologists who are affiliates of the Existential Academy. We are therefore launching an emotional support service for EU citizens (the acronym ESSE denoting the name of the service). This is a short-term support service offering prospective clients up to ten sessions via telephone and/or via a purpose built secure video chat room, with an allocated practitioner. A primary aim of the service is to help concerned EU citizens to explore and better understand their emotional responses to this period of great upheaval and uncertainty, so allowing them to gain greater clarity and make informed decisions on how to cope and protect their well being. The ESSE platform will be staffed by volunteer registered psychotherapists and counselling psychologists, and will be made available at the earliest opportunity – we anticipate end of June, 2017. Initially, the service will be telephone based only but can be extended to include an online option as resources allow. It is of course important and right that this service is provided by highly qualified practitioners who are trained and experienced in working with distressed individuals. As such graduates of the Existential Academy’s partner company, the New School of Psychotherapy and Counselling, and who are either United Kingdom Council for Psychotherapy or Health and Care Professions Council registered counselling psychology practitioners, have been invited to volunteer their services for a minimum of 2 hours per week and for a minimum commitment period of six months. The Existential Academy has a well-established and secure online therapy (virtual therapy office) environment which supports both group forum and private chat scenarios, and which the service directors have indicated they will make available at the earliest opportunity and when both the demand is evident and relevant people resources in place. Ideally, more than one practitioner would be online at any time so as to allow for group as well as individual chat provision. The available days and hours of the service to be confirmed and would be in large part governed by both need and number of volunteers the service secures. 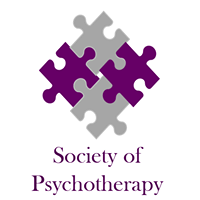 The Society was set up in 1998 and is a meeting place for friends of psychotherapy, irrespective of school or modality. Enjoy cutting edge theory and new ideas to improve your practice.